HOW MANY WORDS CAN YOU WRITE WITH THESE LETTERS? 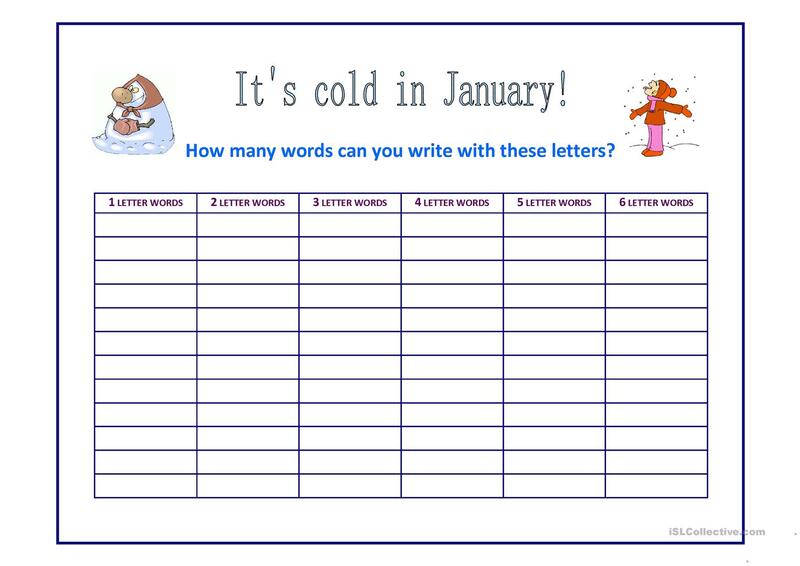 Using the letters from "It’s cold in January!" the students create new words. The above printable, downloadable handout is a great resource for high school students, elementary school students and adults at Elementary (A1), Pre-intermediate (A2), Intermediate (B1) and Upper-intermediate (B2) level. It was designed for developing your groups' Writing skills.